How is everyone? I'm sure everyone reading this is already finished with holiday shopping. But just in case... it's time for another favorite things post! 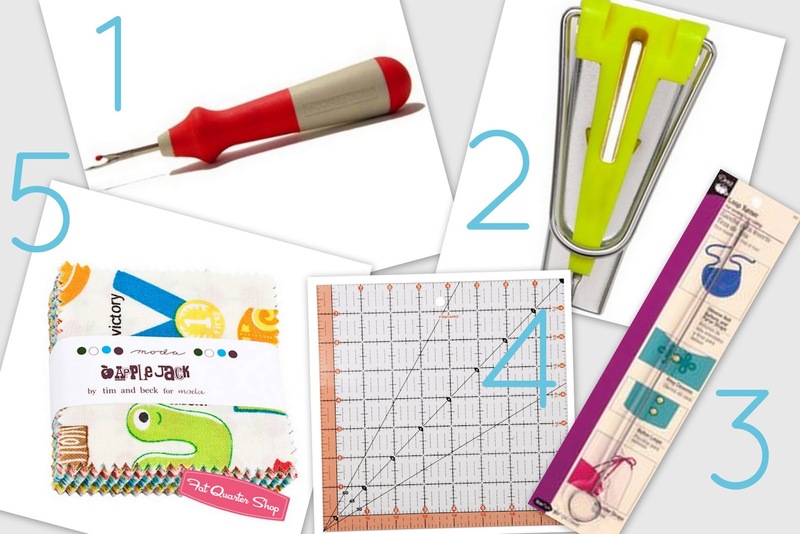 Here are 5 gifts for sewists under 10 dollars (and some under 5!) These are small enough to be stocking stuffers or gifts for your sewing circle. 1. This Fons and Porter Seam Ripper is ergonomic to make fixing mistakes that much less painful. 2. 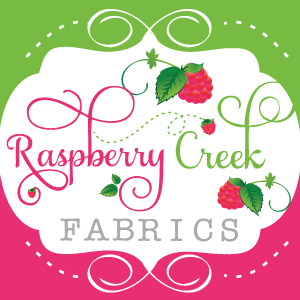 Clover Bias tape makers makes creating bias tape from yardage a breeze, saving you from boring solid color trim. 3. This tiny, inexpensive Dritz Loop Turner will eliminate the frustrating task of turning purse straps and threading elastic with safety pins, drinking straws, seam rippers and the like. 4. Looking for a gift that travels well? These Fiskers Square Rulers are small enough to fit in large bag or sewing machine rolling case, but still large enough to be useful in cutting into yardage. 5. Oh... and don't forget the best gift of all-- fabric! These Mini Charm Square Packs from the Fat Quarter Shop are just darling, and at $4.50-- they won't break the bank! I hope this helps you find something for someone on your list (or for yourself!) Any other ideas for some sewing (or non sewing) related stocking stuffers you'd like to see in your stocking this year?